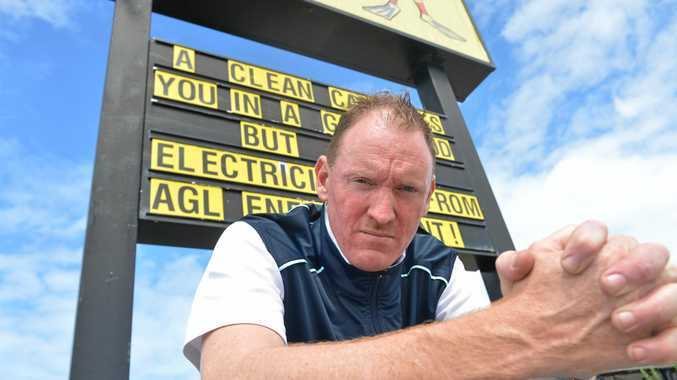 GYMPIE man Steve Wetton opened Scuba's Car & Dog Wash four years ago for some peace and quiet, but he's found neither in an ongoing power bill battle with AGL. Following two years of paying quarterly bills averaging $1500, Mr Wetton received a rude shock upon being asked to pay a whopping $2743.27 in his first invoice after switching to a monthly plan in May 2016. Mr Wetton said AGL didn't properly communicate with him when he attempted to question the steep increase, instead receiving overseas phone calls threatening to cut his power if he didn't pay up. "I switched to monthly because it's (quarterly) a big whack, kind of like your car rego, it's all in one hit," he said. "When I got the bill I rang them up and got Malaysia, and I said this isn't right and I'm not paying it. "When you go and fill your car up you know it's going to be $80, but when you go to pay for it and it's $390, you're entitled to question it. "AGL said you have to pay it or we'll cut your power, and the next month it was worse. "My wife was pregnant at the time, and we immediately panicked and thought we'd never be able to pay. 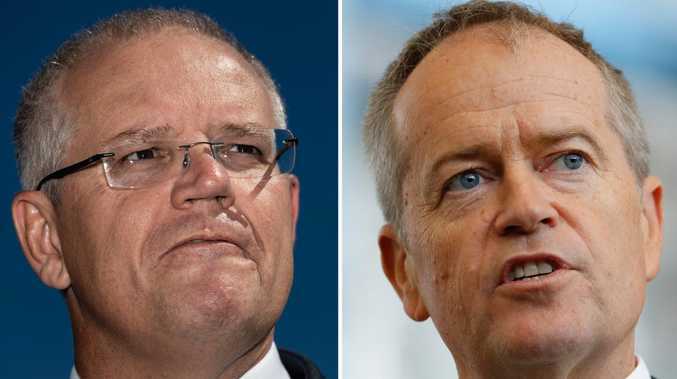 "I didn't know if it was a hike in power prices, but I thought if we pay these bills we're broke, we can't afford to run the business and I'll lose the house too. "I tried to phone AGL and tell them they'd made a big mistake, and we were worried. I got Malaysia again, so I used their 'contact us' page and wrote them a letter. "We lost the baby that weekend." 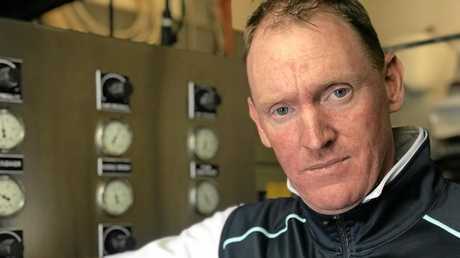 Mr Wetton, who has since welcomed another child, said he hadn't paid a bill in two years, claiming AGL hadn't cut his power because they "knew they'd done the wrong thing" after Queensland's Energy and Water Ombudsman became involved in late 2016. AGL admitted they had "disregarded" Mr Wetton's usage history data in their explanation to the Ombudsman. Mr Wetton said AGL also informed him they couldn't find his meter box due to its being "behind a fence", despite clear visibility on Google Street View. The matter stalled until AGL sent Mr Wetton another threat to cut him off when his owing amount approached the $20,000 mark last month. Mr Wetton said despite reaching a "reluctant" monthly payment agreement of $1000, AGL were still sending him estimate bills. "He said his personal AGL account estimated his average daily usage of $19 since 2014, which does not equate to the monthly figures he's been asked to pay. "They had two years of historical data on my bills. When you do your taxes, the ATO uses a fair and just method, but AGL don't do that. "The estimate's always over, it's never under. 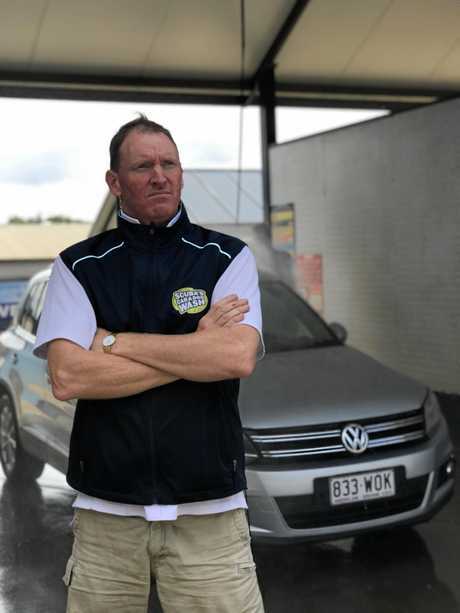 "I haven't been a car wash owner for that long, I bought it to get out of stress, to quiet down and relax, but it hasn't been quiet and relaxing, it's been the opposite." Mr Wetton said AGL corporate affairs contacted him after recent media reports, offering a discount on his payments backdating to January 2017. He said the offer still has not stopped the bills, and wouldn't be enough to settle the matter. "They're very aggressive, they know they can come and flick that switch and I'd lose my house and my business. "They're still saying they'll shut my power down if I don't pay, even with the agreement. "They haven't been very generous. If they think I'm going to settle this dispute for a backdated discount they're gravely mistaken." AGL did not respond to requests for comment, but said they were "committed to helping Mr Wetton" in a previous statement.